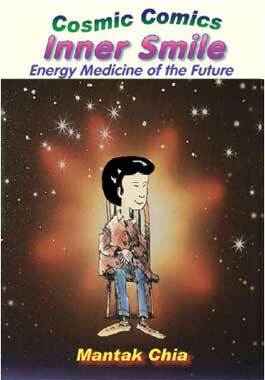 This booklet gives an explanation of Inner Smile's theory, benefits and step-by-step its practices (Functional Channel-Front Line, Digestive Tract-Middle Line and Governor Channel-Back Line) in comic style throughout the booklet. There are 64 pages with over 137 color illustrations and images. This is the first of a series of colorfully the illustrated comics put out by the Universal Healing Tao System for fun and an entertaining way of a working with its practices. In this booklet, the Taoist practice fundamental to all Taoist meditations is the Inner Smile which is explained and its formulas described step by step using a series of graphic and appealing Illustration. You will learn how to deal with your emotional garbage and replace it with Smiling Energy, benefiting your own health and the health of those around you. These captivating illustrations lead you step by step through the practices of Smiling Down to your internal organs and replacing sick energy with positive energy. These instructions are divided into three groups and you learn how to smile down the Front, Middle and Back Lines, transforming negative energies and emotions.